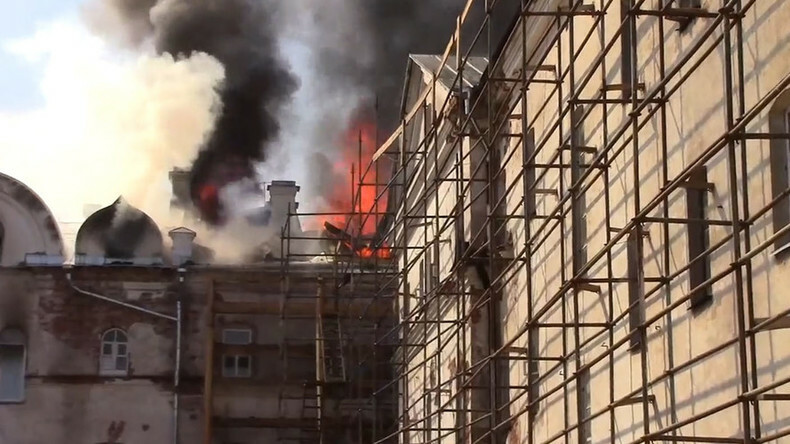 People were evacuated and an emergency helicopter was deployed after a hotel in a 19th century building on the premises of historic Valaam monastery in northern Russia caught fire. 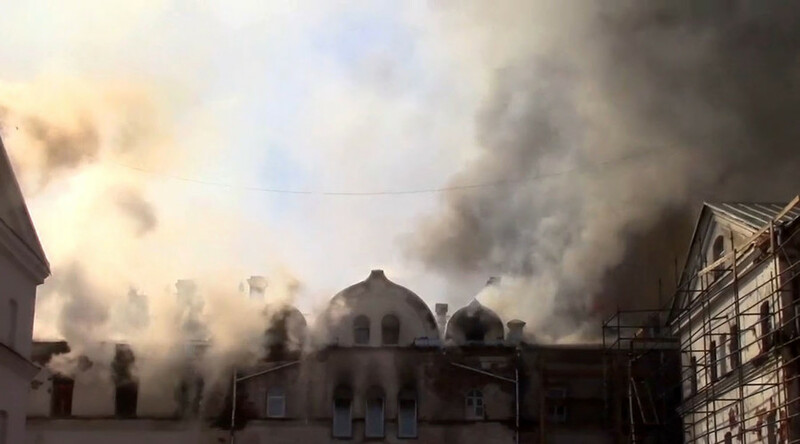 The huge blaze covering some 800 square meters (8,600 sq feet) started on Sunday morning, as the Orthodox Christian community was celebrating Easter day. It erupted in the 'Winter Hotel,' located in the historic building. The structure constructed in the 1850s is considered a national heritage site. Belonging to Valaam monastery, the building is right next to the monastery’s main cathedral. There were no casualties in the incident, emergency services reported. Some 70 people have been evacuated from the site. 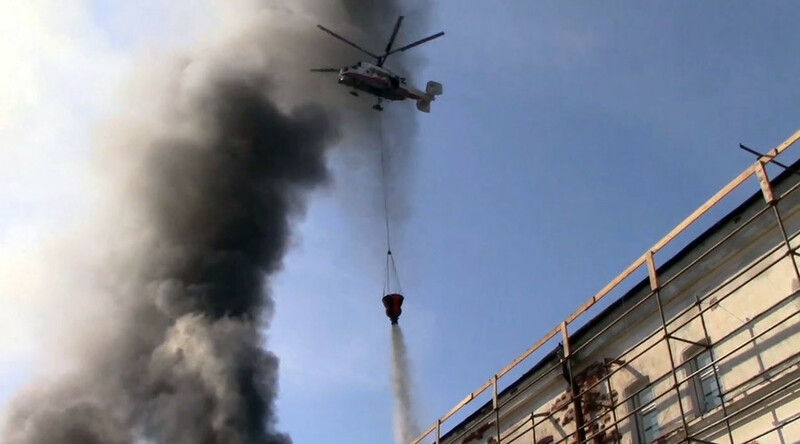 A Russia's Emergencies Ministry helicopter has been deployed from St. Petersburg to help fight the flames, and so far has conducted 11 water drops. One more helicopter is on stand-by. Two hovercrafts have also been deployed. Valaam monastery, on an island in Lake Ladoga in Karelia, northern Russia, is a popular destination for pilgrims and tourists. Known for its natural beauty as well as revered religious sites dating back to the 14th century, the island is visited by more than a hundred thousand people every year.